Sunday, February 04, 2018 by: Isabelle Z. (Natural News) With ongoing advisories about toxic fish and warnings to limit consumption, there is no doubt that mercury pollution is a serious problem in the Great Lakes. For many years, the levels of mercury in the fish there dropped as regulations on area factories tightened, but levels have started to rise to concerning heights once again in recent years. The Keweenaw Bay Indian Community (KBIC) in Michigan’s Upper Peninsula recently asked when it would be safe to eat the fish caught in the lake, prompting the Michigan Technological University to find a better way to estimate their risks of mercury exposure. Their new model measures variables such as land use, local mitigation efforts, climate, ecological systems, and socioeconomic pressures to see how they impact mercury levels. A team of 36 scientists from six different institutions modified a global 3D Eulerian model of chemical transport to study how mercury moves into the local marine food chains from the atmosphere. This model was then used for measuring the impact that three different regulatory processes would have on the flow of mercury in the area. In one simulation, the scientists examined the impact that eliminating all anthropogenic sources of mercury in the area would have. 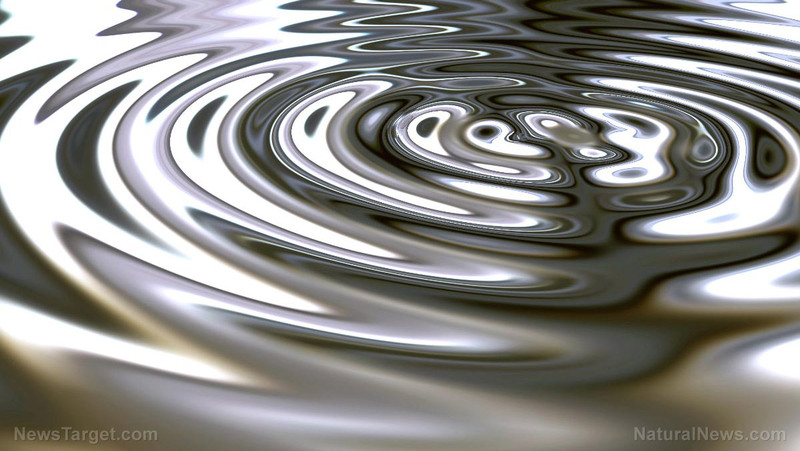 The second simulation determined the impact of moderately reducing mercury through local policies, while a third model looked at what would happen with minimal regulation. All three of these scenarios resulted in higher mercury levels, which is bad news for those living in the area. In fact, they determined that those living on Keweenaw Bay should not expect to see safe mercury levels in area fish at any point in their lifetime. Researcher Noel Urban said that it would take generations before the mercury gets down to safe levels. That’s because even if the manmade sources of mercury were reduced, the contaminants would still be transferred from the deposits on land to freshwater systems and be absorbed by fish. According to the researchers, previous models have tended to under-calculate the risk because of the slow feedback between water and land. Their findings were published in Environmental Science: Processes and Impacts. Interestingly, mercury levels are rising in fish like lake trout and walleye in some Great Lakes areas but not others. For example, Lake Erie walleye, Thunder Bay lake trout, Saginaw Bay walleye, and Grand Traverse Bay lake trout and walleye have all shown rates of increases that are roughly 2 percent per year on average. Carp in these locations, however, is not showing rises, with some areas even registering decreases in mercury in carp. This highly toxic heavy metal stays in the environment for a long time. As it moves its way up the food chain – for example, a small fish eats a contaminated insect, then a medium fish eats the smaller fish and a bigger game fish eats the medium fish – it builds up in a process known as bioaccumulation. Storms, flooding, and invasive species are all believed to be contributing to the rising mercury levels. According to the EPA, mercury in water can lead to kidney damage even from short-term exposure. It can inhibit the development of children’s brains, and it can also cause immunity and heart problems. This research shows just how far-reaching the consequences of pollution can be, underscoring the urgent need to take care of what’s left of our planet’s natural resources. Follow more news on the heavy metals pollution of our world at Pollution.news.